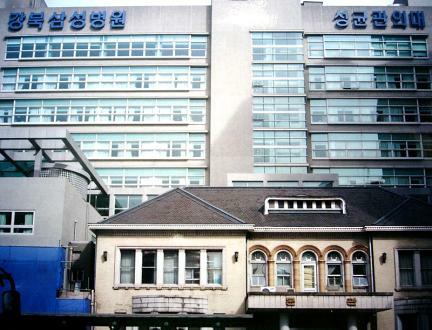 경교장은 대한민국 임시정부의 주석이었던 백범 김구선생이 1945년 중국에서 돌아온 이후 1949년 6월 26일 암살당할 때까지 집무실과 숙소로 사용했던 건물이다. 1938년에 건립된 이 건물의 명칭은 당초 죽첨장(竹添莊)이었으나 김구선생의 거처로 사용되면서 근처의 개울이름을 따서 경교장으로 이름을 변경하였다고 전한다. 이후 자유중국대사관 관저, 국군의료진 주둔지, 월남대사관 관저 등으로 사용되었으며 1968년 고려병원(현 강북삼성병원)이 인수하여 현재에 이르고 있다. 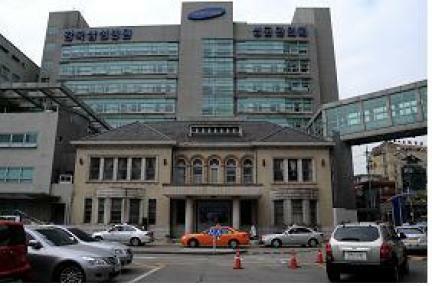 지하1층, 지상2층 규모의 양관으로 전면 분할의 비례가 아름답고 1층의 출창(出窓)과 2층의 들임 아치창을 이용한 단아한 외관이 일품이며, 김해경(시인 이상)이 졸업한 경성고공 출신으로 우리나라 근대 건축의 선구자 중 한 사람인 김세연(金世演, 1897~1975)이 설계하여 1930년대 건축술을 잘 보여주고 있는 건축물로 평가되고 있으나, 건물의 우측면과 후면은 병원의 신축건물과 연결되었으며 내부구조도 병원용도에 맞추어 개조된 상태이다. 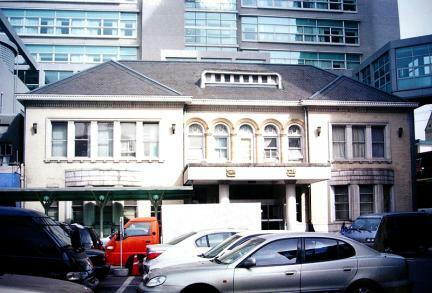 Gyeonggyojang is the building that served as the office and home of Kim Gu, independence fighter and head of the provisional government in China, after returning to Korea in 1945 until he was assassinated on June 26, 1949. 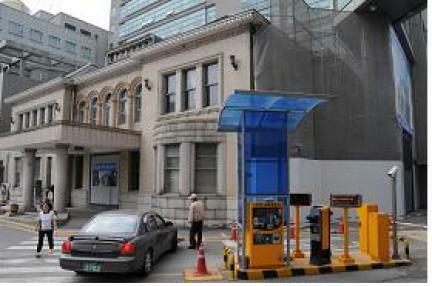 Built in 1938, it was originally named Jukcheomjang; when Kim Gu moved into it, however, it was renamed Gyeonggyojang after a nearby stream. 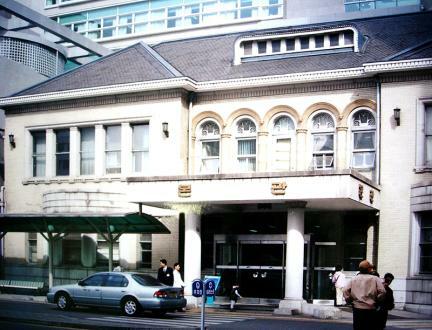 It later served as the residence of the ambassador of the Republic of China (now Taiwan), headquarters of the Korean Army Medical Corps, and residence of the Vietnamese ambassador until it was finally purchased by Goryeo Hospital (now Kangbuk Samsung Medical Center) in 1968. 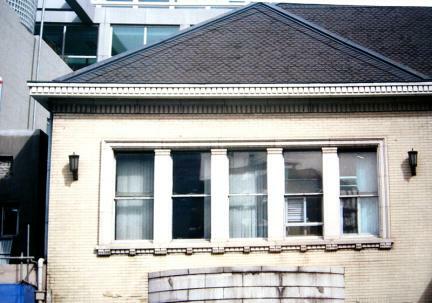 A western-style building with one floor underground and two floors aboveground, the proportions of the facade are beautiful; the protruding windows on the first floor and the arched ones on the second render elegance to the building, which was designed by Kim Se-yeon (1897-1975) who graduated from Gyeongseong High School like poet Yi Sang (Kim Hae-gyeong) and who is a pioneer of modern Korean architecture. 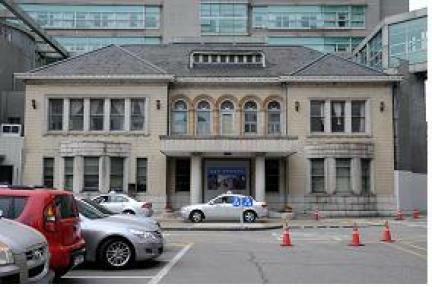 A prime example of the 1930s architectural technology in Korea, the building is now connected to the hospital building on the right side and rear; the interior has also been redesigned to suit the needs of the hospital.